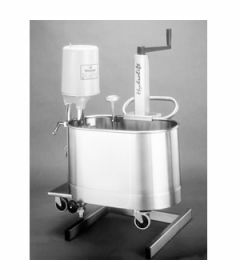 Hydrolift is a Whitehall Manufacturing device designed to raise and lower whirlpools to treat lower and/or upper extremities. It is adjustable up to 32", 36" or 38" depending on the Hydrolift model. For assistance please call 1-800-561-0310.